For many years, billable hours have been the default for legal billing. 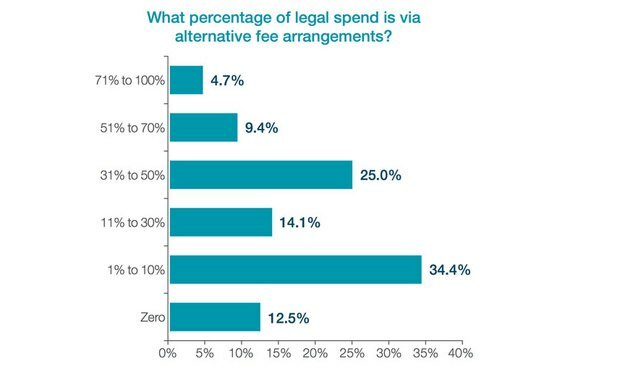 Due to tightened budgets and the increasing leverage of consumers of legal services following the Great Recession, alternative fee arrangements have become more common. While we celebrate the innovation and look forward to working under alternative fee arrangements more often, the death knell for billable hours hasn’t sounded yet. The billable hour did not rise in prominence until the 1960s due to the convergence of two factors: the birth of large law firms and computerized methods of timekeeping. On the former, consider these statistics: In 1951, there were about 220,000 lawyers, as compared to around 1.4 million now. Similarly, during the late 1950s, fewer than 40 firms had more than 50 lawyers; in 2016, more than 350 firms had more than 100 lawyers. This growth is the result of a straightforward profitability calculus: Firm revenue increase with more associates rather than raising existing attorneys’ rates. Billable hours, unlike many previous billing arrangements, aim for a more objective measure: to capture and bill all time spent on a matter. Billable hours also led to some gross abuses: attorneys at a prominent firm who billed an average of more than 16 hours a day for more than four years (an average of 5,941 hours per year); an attorney who billed 96 hours in a single day; an attorney who sought—and received—firm approval to routinely increase a particular client’s bills by 15 percent; and the attorney who logged 13,000 hours in 13 months. These dishonesties exacerbate negative preconceptions of lawyers. A survey in the 1990s revealed that almost half of CEOs and in-house counsel believe that outside counsel’s bills are inflated. Although certainly less of a concern for clients, billable hours are also reviled by lawyers. Lawyers have worked increasingly long hours since billable hours came the predominate billing arrangement. The billable hour is the chief complaint amongst lawyers; stress, fatigue and depression are all correlated with lawyers’ longer workdays. The Great Recession squeezed the budgets of clients and resulted in a marked shift away from the billable hour. For example, just from 2008 to 2009, the number of legal departments reporting that they spend more than 10 percent of total fees on nonhourly arrangements increased from 27 percent to 43 percent. In 2016, AFAs were roughly a quarter of the approximately $21 billion spent on outside legal fees. A survey of more than 350 law firms confirms the shift. Almost all (97 percent) worked under AFAs for at least some matters. Nearly three-quarters of these firms admitted a reactive posture, willing to work under AFAs only at the client’s suggestion. Interestingly, a firm’s willingness to proactively pitch AFAs is correlated with the profitability of the arrangement—85 percent of proactive firms were at least as profitable with AFAs as billable hours, while this was true for only 51 percent of the reactive firms. Clients shifting to AFAs are happy with the results and are looking for ways to shift more legal expenses to AFAs. 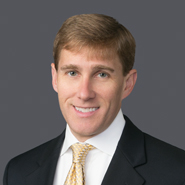 Each year, Norton Rose Fullbright publishes a report on litigation trends. In 2017, the report included results from a survey of more than 330 senior corporate counsel. Of this group, more than half used AFAs and these accounted for 28 percent of the group’s entire legal spend. Nearly all were satisfied with AFAs. For most corporate clients, AFAs make up a small percentage of their entire legal spend. While it is hard to find many dissenting voices to the trend toward AFAs, some commentators argue that the emphasis on AFAs is somewhat misplaced. Budgets, imposed on litigation and transactional matters, are far more common; these two—AFAs and budget-based matters—account for between 80 and 90 percent of law firm revenues. From an in-house counsel standpoint, the AFAs provided some level of certainty as to annual legal budget spend. Not all cases were initially suitable for AFAs, particularly not those involving very complex litigation issues and transactional issues. The AFAs were only envisioned as encompassing case work-up and preparation to the trial phase. It was quickly realized that trials were unique and unlikely to fit into an estimate anticipated legal cost—as a result it was eventually excluded from the AFAs’ ambit. From the private practitioner standpoint, AFAs were initially generally viewed with some amount of skepticism. Depending on how a firm reports billing under an AFA, the benefit of minimized billing is one of the greatest advantages when managing a high case volume client. The hours saved by not having to revise time entries, cut time, review audits, send out bills, etc. is a game-changer. There should be a mutual financial benefit for both the firm and the client. The financial benefit to the firm is arguably greater if the flat fee is managed efficiently. Knowing when and how much the firm is being paid on a long-term basis is critical to any firm from the standpoint of management of the firm’s finances. AFAs are no longer an outlier, and we expect a growing proportionate billing share in the coming years. We celebrate the trend and look forward to firms and clients finding ever-more creative ways of handling legal needs.